So once I had registered on the OFCOM website and received my callsign, I was about to go and turn on my rig when I heard a thunderstorm rumbling overhead. As I had not fitted any lightning arrestors to my antennas, I quickly unplugged the PL259's and waited for the storm to pass. Nothing happened! After a couple more attempts, I got a response from somebody in Poland! My first ever QSO! This was a short QSO as I was a bit overwhelmed to be honest and not really sure what to say or do (even though I had been listening for quite a while when it came down to it I couldn't think). 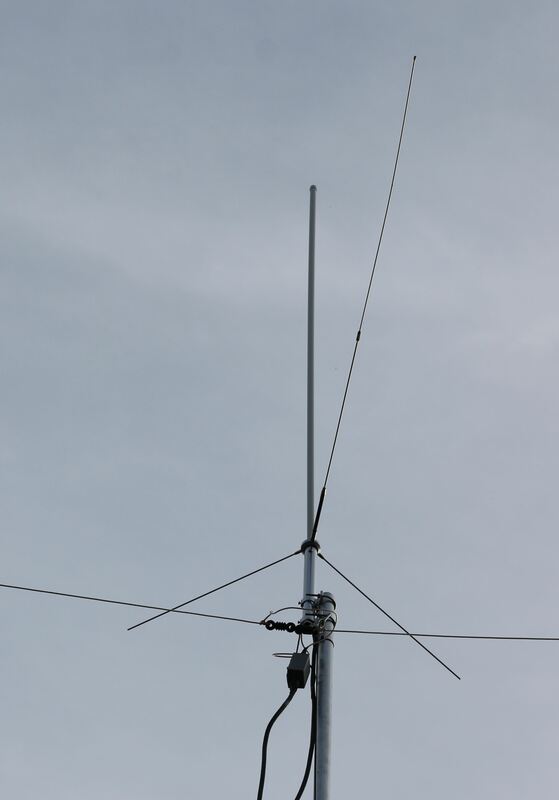 After that I had a scan around 20M for a while and as it was getting later, the band was starting to close so I hopped over to 40M and grabbed the microphone. I tried responding to a number of individual CQs and pile-ups but got no response. This started to get frustrating and I thought that maybe my offset dipole wasn't working very well or that 10W just wasn't enough power? After a frustrating hour or so responding to about half a dozen such CQs, I happened to glance over at the power meter on my IC-7100 and noticed that it was hardly moving. Suddenly I had a lightbulb moment, the audio input was still set to USB from my playing with PSK31! I have since discovered the USB-D/LSB-D modes on the IC-7100 which allow you to select seperate inputs for data and non-data modes! I configured the audio input to MIC and immediately responded to a CQ from a Spanish ham and sure enough, he replied. After another short QSO as he was struggling to hear me (my report was 56/57 whereas he was 59+20) I completed my second QSO and as it was getting late, decided it was time for bed. So a slightly frustrating but interesting first evening operating and I'm sure as my confidence and abilities improve, I will achieve more than 2 QSOs in a day!